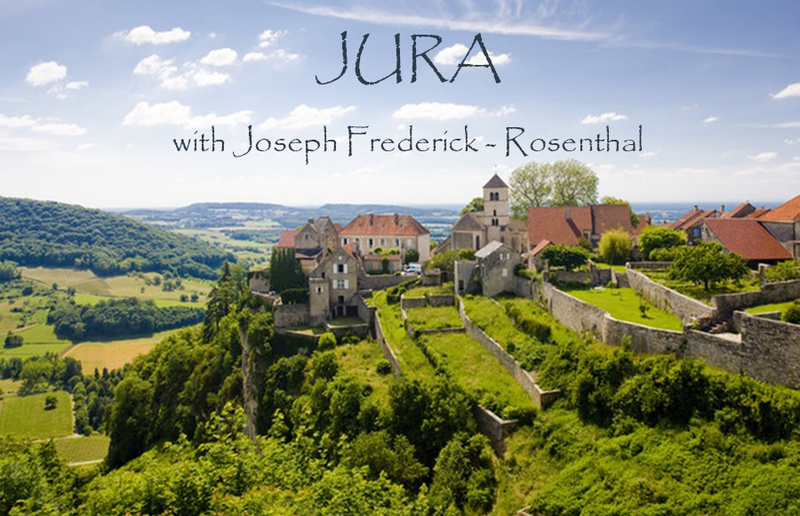 Explore the region of Jura with Joseph Frederick from Rosenthal Merchants as he takes us around this interest region in France. This is a great opportunity to learn and taste some wines from an up and coming wine region. Produced from a mix of Ploussard (60%) and Pinot Noir (40%) which are co-fermented. The wine is then aged in stainless steel for one year and one year in 225 liter barrels. A single vineyard wine, the Bernardines site is within the confines of the village of Vadans. beeswax and honey and resin and minerals. The best Savagnin is produced from poor soils underlain with “marne grise” and the Crinquand Savagnin is planted in a singular one hectare parcel of compact grey marl. Vinified in large, old oak barrels and left there to age about four years before bottling, Crinquand’s Savagnin is a profound wine marked by notes of beeswax, cacao and walnut with a penetrating, long, almost tannic finish. Certified Organic. The Foléats produced all of 200 bottles of Vin Jaune in the 2009 vintage, and we are fortunate to have access to a sliver of that tiny pie. Like the Savagnin, this comes from vines in Poligny, quite close to Chateau-Chalon itself, and it offers an even more profound take on that esteemed terroir. “Non-interventionism” has almost become a cliché when discussing wines of a non-commercial bent, but it truly does require immense courage and the full internalization of trust-in-nature to produce great Vin Jaune—and you’d be hard-pressed to find a more explosively dynamic example than this one. Made exclusively from old vines Chardonnay; Far and away the best Macvin we have ever tasted; aged 10 years in a single barrel; a sweet caramelized nose yet fresh and round on the palate. Great acidity.